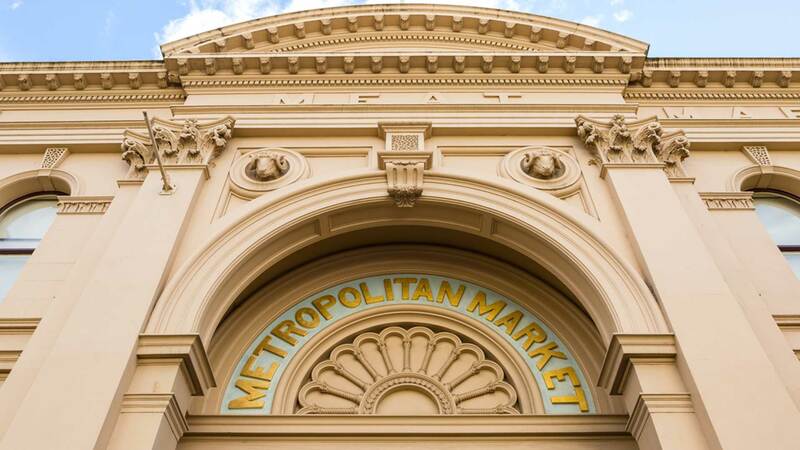 Meat Market has come a long way since its early days as the centre of Melbourne’s wholesale meat trade in 1880. Now a hub for creative arts and cultural events, Meat Market houses a list of talented creative industry professionals and facilitates Melbourne’s hottest events. Learn more about our iconic Melbourne venue, explore our heritage and discover who we are today. Until 1874, meat wholesaling took place at the City Meat Market – where the current Queen Victoria Market stands. In that year a group of butchers founded their own Victoria Meat Market on Elizabeth Street and demand quickly outgrew their space. Commissioning architect George Johnson, Meat Market was unveiled in 1880. The centre of Melbourne’s meat trade for almost 100 years, Meat Market was in Operation until 1974. Originally geared for horse and cart, the building failed to meet the needs of the modern meat trade as technology and industry progressed. Petrol driven vehicles and exhaust fumes contravened health regulations and a lack of space for refrigeration equipment and cars made trading difficult. Butchers started to move out and by 1973 there were only six stallholders remaining. The once bustling market hall was rendered quiet with the advent of telephone orders. In a 1982 interview, a director recalled the chaos of the market in its prime between 6am and 8am. Recognising the historic value of the building, Meat Market was purchased by the State of Victoria’s former Arts Victoria body. The building opened as a craft centre in 1979 and started being used as a performing arts space in 1998. Following renovations, the City of Melbourne’s Arts Department took over management in 2005. In 2015, a dedicated on-site management team was appointed to develop the venue into an arts and cultural space. With 50 arts businesses and individuals now operating from the site, Meat Market is an important hub for arts development and presentation within Melbourne’s thriving arts scene. Now an historic and iconic performing arts and events space, Meat Market accommodates a range of events across its Flat Floor Pavilion, Cobblestone Pavilion, Meeting Room, Old Cafe and Stables. The foundation stone next to our Courtney Street entrance displays a date of 1880. But, perhaps confusingly, the company also inscribed their establishment date – 1874 – above the Blackwood Street entrance. At the interior of the Courtney Street entrance you’ll find a portrait head of the market’s chief founder and mayor of Hotham, William Reynolds. Across the stalls you’ll find names of company members, including a large set for Reynolds. In the cobblestones, beneath the arch, you can still see grooves and tracks made by the iron shod wheels of delivery carts over a century ago.